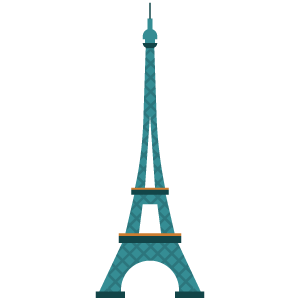 The first tourist destination in the world, France has everything to enchant travellers. From the chalk cliffs of Etretat to the calanques of Marseilles, from the vineyards of Bordeaux to the Mont Blanc massif mountain, the "hexagon" offers wonderful changing landscapes. Through its cities and monuments, discover the french historical heritage and travel through more than 2,000 years of history. With a wide range of vehicles, motorhome hire in France has never been easier than on Yescapa. Choose your motorhome or converted van, the dates of your trip and go discover what France has to offer. Its historical heritage and architectural wealth make Bordeaux an unmissable city to visit and THE most popular tourist destination in Europe. 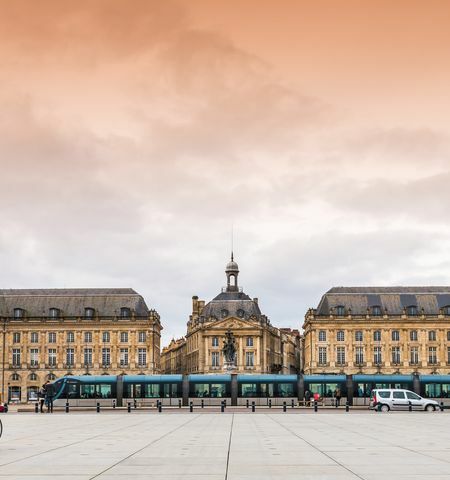 Whatever the season is, the city of Bordeaux is suited to both short and long trips. Let it charm while you take a 'promenade' along the Garonne, with a wine tasting, or while taking in the panoramic view of the city from the Pey Berland tower. After your stop in Bordeaux, continue your journey by motorhome on the roads of Aquitaine and enjoy a wide variety of scenery. From the vineyards and castles of Bordeaux to its 300 kilometres of beach designed for surfing, to the Basque Country, find your perfect vehicle among the many motorhomes and campervans in Aquitaine. It is time to relish in the world city of gastronomy. Of course, we're talking about Lyon! Whatever your tastes are, there is something for you to enjoy and you will never doubt its gastronomical fame. 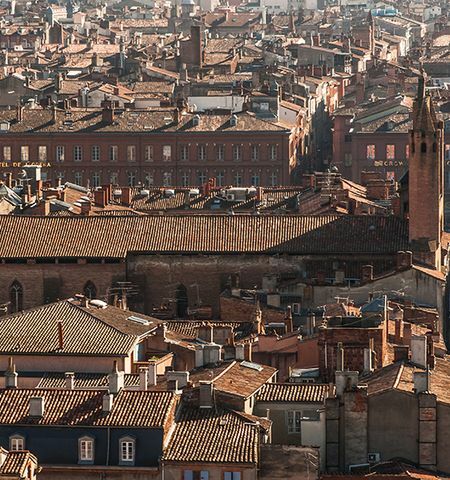 The city of Lyon is also a historical and cultural hub rich of more than 2,000 years of history. This heritage is deeply anchored in the architecture of the Old Town. A wealth of possibilities that will leave you speachless! Continue your trip by motorhome to the surrounding area. On the doorsteps of Italy and Switzerland, the Rhône-Alpes region offers wonderful scenery alternating between lakes such as Annecy and Bourget, and mountains with the famous Mont Blanc or the Aiguille du Midi. If you prefer canyons, you can also have a look at the gorges du Verdon. Find your perfect vehicle among the many motorhomes and campervans in Rhônes-Alpes. 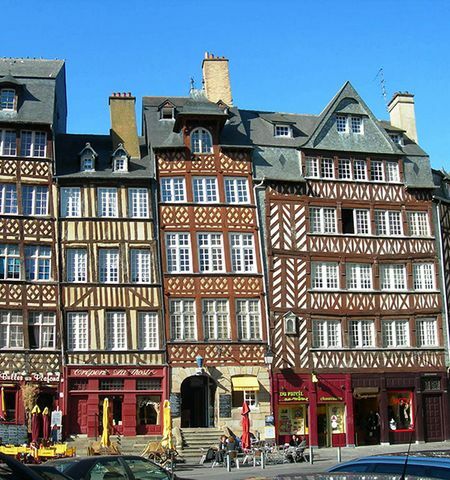 Prepare yourself to discover the charming city of Rennes, whose architectural heritage is really varied! The Old Town of Rennes offers half-timbered houses, paved streets and historical monuments such as the Parliament of Brittany or the Opera. If you are fond of good food, you are going to enjoy your trip : There are crêperies at every corner. After a city tour, escape to St-Malo in your motorhome. You can go for a walk on the ramparts that offer wonderful scenery to discover at the rhythm of the tides. You can also visit the numerous tourist sites such as the Fougères castle, or visit the magical Brocéliande forest that has witnessed of King Arthur and Merlin the Magician's exploits. Find your perfect vehicle among the many motorhomes and campervans in Brittany. Continue your tour of the country and kick into touch in the Southwest capital. You will enjoy strolling through the historic centre, the small shops and the famous place du Capitole before going to the Garonne riverside. If you travel with your family, visit the space city and discover the farthest reaches of the cosmos. Let's get out of the city to discover the Midi-Pyrenees region and its beautiful villages whose medieval charms will enchant you : discover Belcastel and Lauzerte. You will also be able to visit the region by boat on the Canal du Midi or to discover the Millau Viaduct, the highest in the world! Close to the Mediterranean sea and the Pyrenees, you will not have the time to be bored. Find your perfect vehicle among the many motorhomes and campervans in Midi-Pyrenees. From shopping to the beaux-arts architecture, there is so much to see that you will not know where to begin! Your best bet is to begin with the most iconic monument around: The Eiffel tower will allow you to enjoy a unique view of Paris. The Sacré Coeur tower is also an inescapable point of view in Montmartre that you will enjoy. 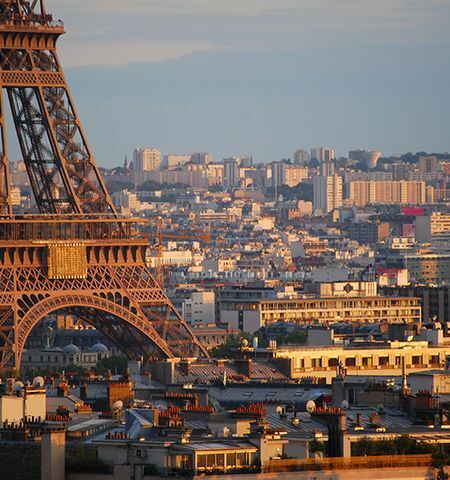 It is the peak of the city and also offers a panoramic view of Paris. Continue your tour of France by motorhome and follow the footsteps of Napoleon and Louis XIV. Located approximately sixty kilometres away from Paris, the Fontainebleau castle is a pure example of french art. Discover a wonderful castle in a Renaissance style with Italian inspirations. You could then stroll in the Fontainebleau gardens during the time of a royal walk. Find your perfect vehicle among the many motorhomes and campervans in the Paris region. Are you ready to soak up some sun? Finish your french journey by motorhome on sunny roads. Follow the song of the cicadas and enjoy the melodious french accent from Marseille, the mistral and the Mediterranean air. Let's begin our visit with a walk in the town centre and through the narrow streets of the Quartier du Panier. A typical area with colourful houses full of charms and history: It is the oldest district in France. Nearby, you can continue your walk along the Old Port and admire the Basilique Notre Dame de la Garde that surrounds the phocean city. After your trip to Marseille, you can hit the road in the Lavender fields of Provence before arriving in Cassis. This little coastal town offers wonderful scenery and the most beautiful Calanques of the region. These littles creeks, located between sheer cliffs, thin sand and turquoise waters will give you the feeling to be cut away from the world like on a lovely heavenly island.<br> Find your perfect vehicle among the many motorhomes and campervans in the PACA region.